Dynamic and interactive, the ‘Energy Demand in Context’ Block Week is a full-immersion into the field of energy demand – and changed the way I look at the world for good. 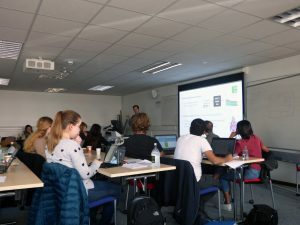 Five days may not seem very long, yet, during our week zero block week at Loughborough, there was hardly an energy-related topic we did not touch upon. We started as far back as 56 million years ago, looked at how the climate has been changing since to grasp the magnitude of the human footprint on the planet. Then, a very interesting introduction to smart energy systems highlighted the potential of technology in solving the quite complicated business of managing energy supply and demand. The issues we discussed were many, too many to list, but the main take-away is that curbing emissions comes with a wide array of other challenges, and that the road ahead might be long and bumpy, requiring energy students to have a 360-degrees view of the problem they aspire to tackle. As a social scientist, the Block Week has effectively constituted my rite of passage into the field of building physics. Accessible but exhaustive, these lectures clarified and crystallised many concepts in my head. Who would have thought? Only after a few hours of arriving at Loughborough, I found myself discussing natural ventilation in non-commercial buildings, U-values of residential walls and the efficiency of boilers. This was also made possible by numerous debates, interactive activities and site visits, which allowed me to learn concepts completely new to me thorough first-hand experience. 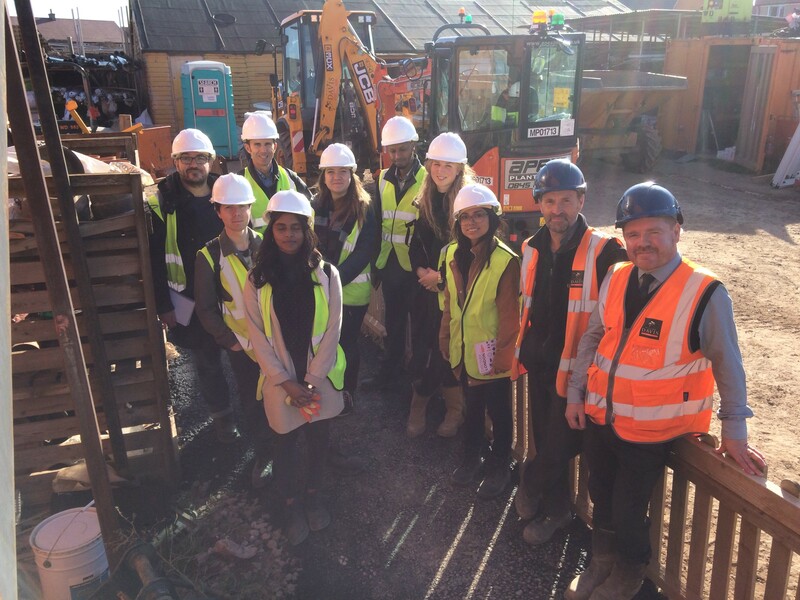 In particular, during a visit at a building site, I was able to observe step-by-step how dwellings are built, and I became aware, for the first time, of the myriad of considerations that go into keeping our homes warm and cosy. Probably the most recurrent theme of these five days, the interaction between the physical and the social world is what has left me most fascinated. The importance of including both social and technical factors in the equation was ever more evident whilst talking to my peers with backgrounds in different disciplines. It is quite striking to see how differently each one of us approaches the same issue and how complementary our individual experiences effectively are. The group project we worked on is a very good testimony of this: it is amusing to observe a bunch of physicists, engineers and social scientists working side-by-side to come up with a strategy to decarbonise our economy. Being part of this process further motivated me to do research in the energy field, whilst giving me hope that, if we collectively put our minds to it, we can achieve radical change. Yet, the complexity and multifaceted nature of energy demand studies, though extremely fascinating, seems to come with a price. 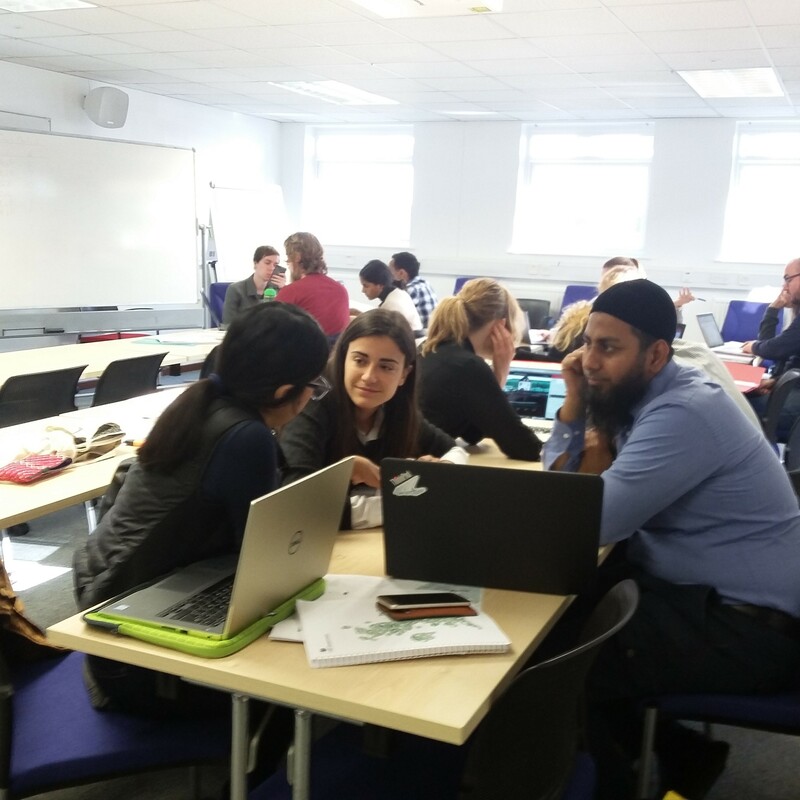 During our time at Loughborough, we had very insightful discussions around the challenges associated with conducting research in this field, such as the uncertainties related to energy modelling and the unpredictable nature of humans we seek to study. These considerations left me with a lot to think about and made me much more aware of the difficulties I am likely to face in this eclectic area of research. Despite the serious talks, humour was ever-present throughout these hectic five days. In fact, alongside lectures, the programme included a variety of recreational activities. Among them, the egg challenge and the infrared camera demonstration were accompanied by a good dose of laugh. In summary, to attend the Block Week is to embark on a multidisciplinary journey into the conceptual and physical realities of energy demand. It is a fun and formative experience, yet, more than anything else, it is the perfect opportunity to create bonds with people who share a similar vision of the future, but have radically different pasts. It is a reminder that PhD research does not necessarily have to be an individual process, but rather an exchange, through which we have the opportunity to make the best out of each other’s experience and expertise.